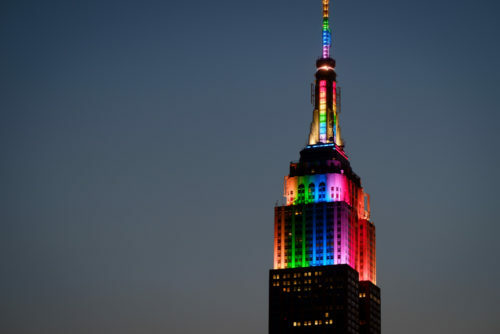 Two women will be getting married at the Empire State Building this Valentine’s Day. Each year for 26 years the owners of the Empire State Building hold a contest for couples who want to get married on the 86th Floor Observatory on Valentine’s Day. Fabiana Faria and Helena Barquet were one of the couples chosen this year. The women own a home good store on the Lower East Side of Manhattan called Coming Soon. Faria, who grew up in Venezuela, and Barquet, who’s from New York City, had previously worked together in the design industry. Their wedding ceremony, which will last 15 minutes, is scheduled for 7 a.m. Another couple will be married right after them at 7:30.